Welcome to Tomball Ford’s Finance Center! You’ve arrived to the Tomball Ford Finance Department. Financing is the bridge for our customers to take home their dream car, truck or SUV. Here our tools will help you learn the value of your trade-in vehicle, apply for auto-loan financing online, learn about the value of leasing or buying, and even calculate monthly payments so you can arrive to our lot prepared. Our team of Finance experts provide valuable counsel and are at your disposal before you even arrive. Call or contact us online now with your questions or inquiries and we’ll make sure to answer your questions thoroughly so you’ll have no doubt you’re taking home the vehicle of your dreams. We’re very proud to offer competitive financing rates and terms on our great selection of new and used trucks, cars, and SUVs to our customers ranging from the greater Houston, The Woodlands, Spring, Cypress, and Sugar Land, Texas areas. 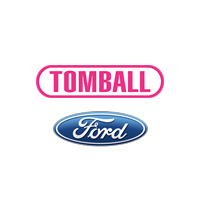 Contact Tomball Ford’s finance team today or if you’re ready to start the financing process, you can fill out the finance application below.